Where do you like skating? 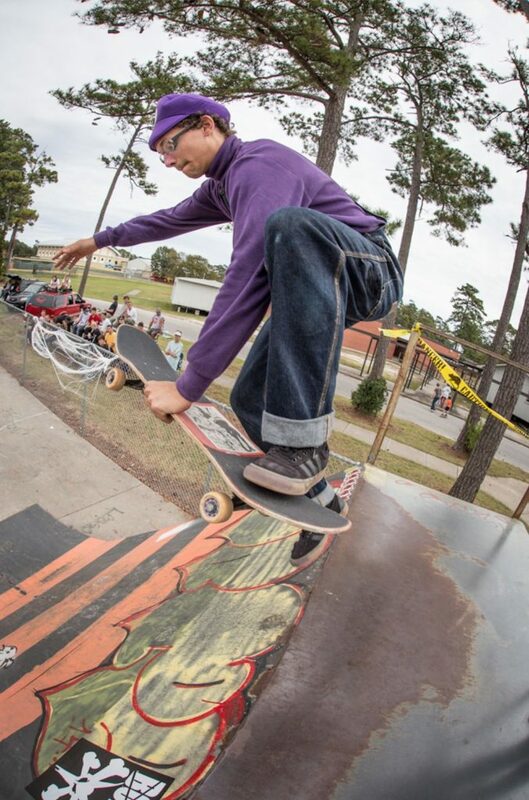 I prefer street skating over skating a park but if I have to choose I’ll say the local park in Myrtle, Matt Hughes Skate Park. If I have a more broad choice I really like going up to Columbia, Charlotte, and just any out of town skating/filming. Why did you go Veg? I was volunteering, which is a stretch because I mainly just walked the dogs that I thought weren’t getting enough attention at an animal shelter in Columbia SC. I felt this internal guilt of how those animals had ended up in the situations that they were in. This one dog I especially felt a connection to had some facial scarring from who knows what but was still as sweet and loyal as could be. Although this was not a very extreme thing in the grand scheme of animal neglect it made me realize just how pure animals are and how I was contributing to their abuse and enslavement. I did vegetarian for about a month and then realized that wasn’t the best I could do. I went vegan with no plans of turning back. What is your favorite thing to skate and why? I really enjoy skating things that people aren’t looking at as something to skate. Figuring out how to do something at a spot that doesn’t seem worth skating is super rewarding. Because of this the local people I skate with have coined the term, “Garet Spots” and are not fans of going to them. What shoe are you skating in now? Right now I’m skating the Adidas Seeley in Canvas. I read the stripes are man-made leather (synthetic) on several sites. I also just ordered another pair of the canvas/gum Adi Ease and those are the best shoes I’ve skated in awhile. Or just say whatever you want about skating Veg… I’m vegan for the animals, not for my health and I think that’s a major misconception about being vegan. Vegan food is amazing and has so many more flavors than what I was eating on a non-vegan diet. I also really love taking out of town trips because I can try to persuade my group of non-vegan friends to either try or go by the vegan spots other cities have to offer. Shout out to Dellz Uptown in Charleston, Lambs Bread in Columbia, and Bean in Charlotte. Oh and to the good homies in HD and the sk843 family too. 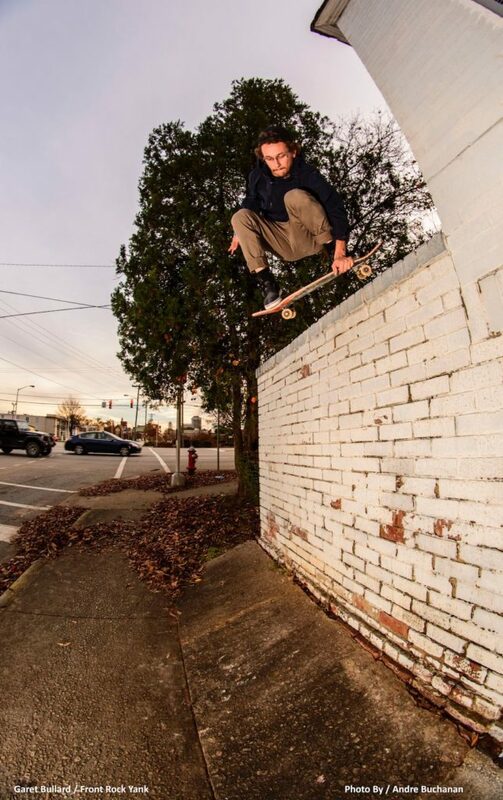 I want to get down to the Carolinas and check out some Garet Spots! Thanks for sending this in Garet, glad its finally up on the blog!